Located at 9311 Bridgeport Way SW, Lakewood WA 98499. In a beige/gray building with black trim & bright green door, pictured here. From Bridgeport Way SW you may park in the front 2 parking spots. However, these exit straight onto busy Bridgeport Way SW.
Continue down 93rd St SW (stop light just past our building)- Turn Right entering into the Sky Bridge Therapies parking lot, drive straight to the back, turn right by the All State Insurance sign… this takes you to the back parking lot of our building. Door around front OR from Bridgeport Way SW…. Go to Gravelly Lake…turn (towards Walgreen’s) left to go around to the back of the building. At the end of Midas gray chain-link fence, turn left. This will take you to the back of the building. Park out back close to our office buildings. Please see the Services page for more details. 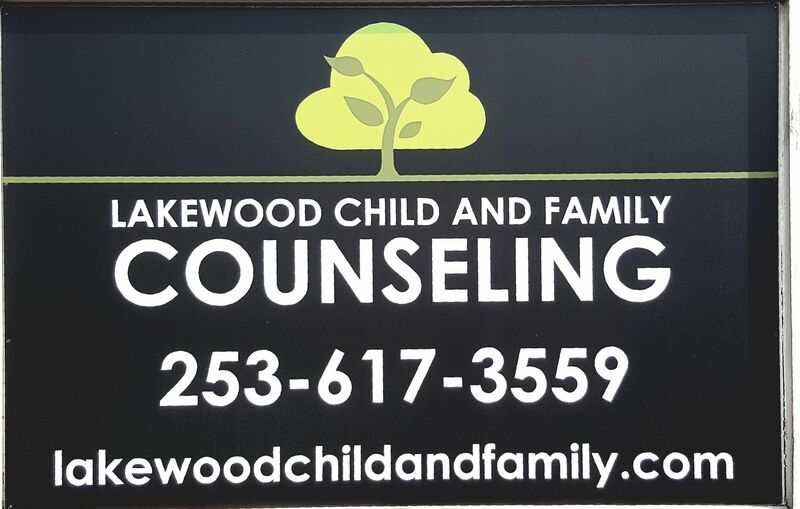 Feel free to call our office if you have any additional questions about us, counseling services, or behavioral health services here with Lakewood Child and Family Counseling. Thank you for choosing us, we look forward to seeing you!